Sarasota Grooming Company provides exceptional dog grooming for all breeds of dogs up to 70 lbs. Groomer and owner, Yvette Cooley, received her formal training at the renowned Merryfield School of Pet Grooming where she mastered pet and AKC profile trims under the supervision and guidance of nationally and internationally acclaimed Certified Master Groomers, competitive groomers and AKC Breeders. She completed her internship under Master Groomer, Nicole Kallish. Yvette is a member of the National Dog Groomers Association of America, is an A.K.C. Certified Safe Groomer, and is trained and current in pet CPR and first aid. 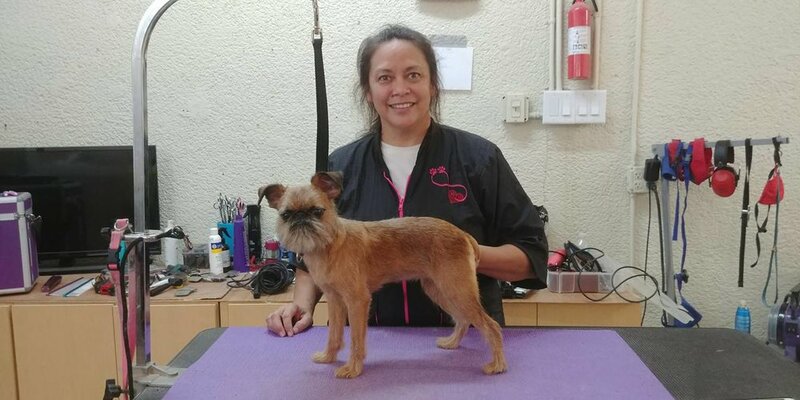 Yvette continues to pursue excellence through workshops and grooming expositions and has begun the rigorous requirements to achieve the designation as a master groomer herself. We are convenient to Gulf Gate, Siesta Key, Casey Key, Nokomis, Osprey and Venice. We are happy to say, all grooming is done by appointment, which means your pet has our exclusive attention. We will groom your dog straight through, from start to finish and most will be ready to go 2 hours for small dogs. Subscribe for specials, news and updates! Please give us a call or send us an email with any questions and be sure to check out our Facebook and Twitter for more information.